This refers to the 1996 Helms-Burton Act, which authorised Americans to sue foreign nationals and entities over property seized after the 1959 Cuban Revolution. For over two decades, the US has suspended this provision of the act, but Donald Trump lifted the ban in an effort to increase pressure on the Cuban government. "The decision by the United States to renege on its long-standing commitment to waive Title III of the Helms-Burton (LIBERTAD) Act is regrettable, and will have an important impact on legitimate EU and Canadian economic operators in Cuba," EU foreign policy chief Federica Mogherini, Canadian Foreign Minister Chrystia Freeland and EU Commissioner for Trade Cecilia Malmstrom said in a joint statement on Wednesday. "The EU and Canada consider the extraterritorial application of unilateral Cuba-related measures contrary to international law." "Our respective laws allow any US claims to be followed by counter-claims in European and Canadian courts, so the US decision to allow suits against foreign companies can only lead to an unnecessary spiral of legal actions," Brussels and Ottawa stressed. Spain, which has large investments in tourism-related industries in Cuba, was quick to condemn the US move as well. The Associated Press quoted a senior Spanish official as saying that Madrid would ask Brussels to launch action against this decision in the World Trade Organisation. The Cuban authorities haven't delayed with a response as well, saying that the Latin American country "strongly rejects" the US decision. "I strongly reject the announcement by Secretary of State (Mike) Pompeo to activate Chapter III of the Helms-Burton Act, an attack on international law and the sovereignty of Cuba and third States", Cuban Foreign Minister Bruno Rodriguez said via Twitter. — Bruno Rodríguez P (@BrunoRguezP) 17 апреля 2019 г. It comes hot on the heels of US Secretary of State Mike Pompeo's announcement that the US will on 2 May lift the ban on lawsuits against companies and individuals benefiting from properties confiscated from American citizens in Cuba. He referred to a section of the 1996 LIBERTAD Act, also known as the Helms-Burton Act, which granted American nationals the right to file lawsuits against foreign firms and citizens that profit from the property which was nationalised by Cuba after Fidel Castro came to power in 1959. "Those citizens' opportunities for justice have been put out of reach for two decades," Pompeo noted. Donald Trump opted to put an end to this two-decade suspension – a move that is likely to ward off foreign investments to the island and increase pressure on Havana over its support for the embattled Venezuelan President Nicolas Maduro. 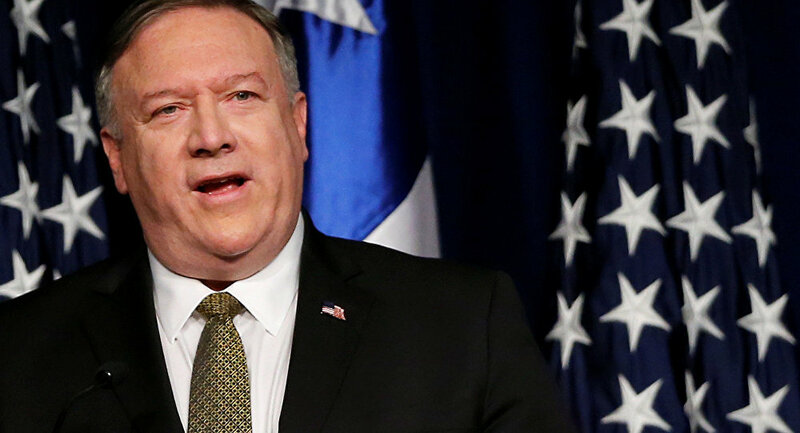 "Cozying up to Cuban dictators will always be a black mark on this great nation's long record of defending human rights," Pompeo added. When asked if the US would allow any exemptions under the decision, specifically with regard to US companies doing business in Cuba, State Department official Kimberly Breier said, "There will not be any exemptions." Breier noted that the US would continue to closely work with its allies on the matter. "We've been in very deep and close contact with our allies in Europe and Canada and around the world as we consulted on this decision over the past several months," she said. "We took a decision today based on our laws and our sovereign concerns for the property of American citizens, and Europeans will respond as they see fit. We will continue to work closely with them om this policy and on the policy in Venezuela." According to Brier, the Foreign Claims Settlement Commission has certified nearly 6,000 claims for properties confiscated in Cuba with a total value of approximately $2 billion. With interest this value could be somewhere in the $8 billion range, she added. When commenting on the issue, US National Security Adviser added that the US Treasury Department would end the use of "U-Turn" transactions that allow Havana to evade sanctions. The European Union earlier expressed its opposition to Washington's move and warned that it would resort, if necessary, to the WTO to protect the interests of European firms and citizens doing business in Cuba, who might be targeted by US lawsuits.